Today, I will be doing another DIY project. 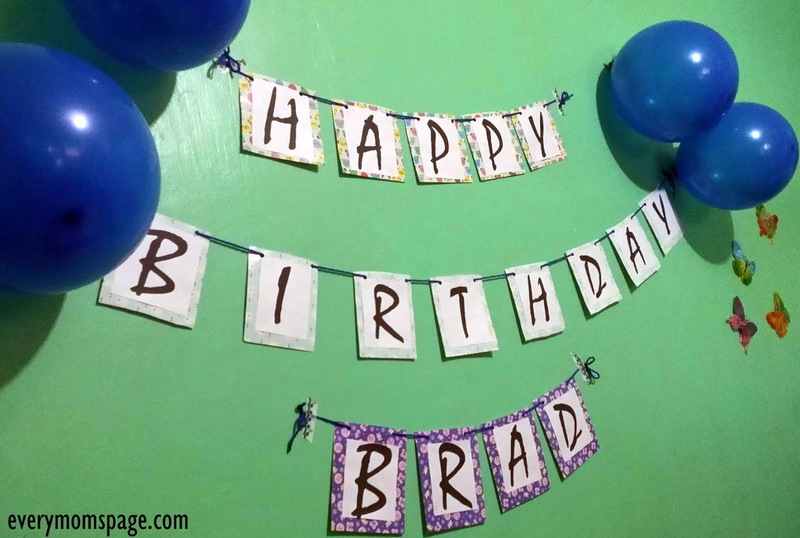 My son will be having his 4th Birthday Celebration so I thought to just DIY a simple Happy Birthday banner. Then, I printed out the letters, two letters fit the 8.5x14 size of bond paper and cut one by one. I got some wrapping papers lying around so I made use of them. 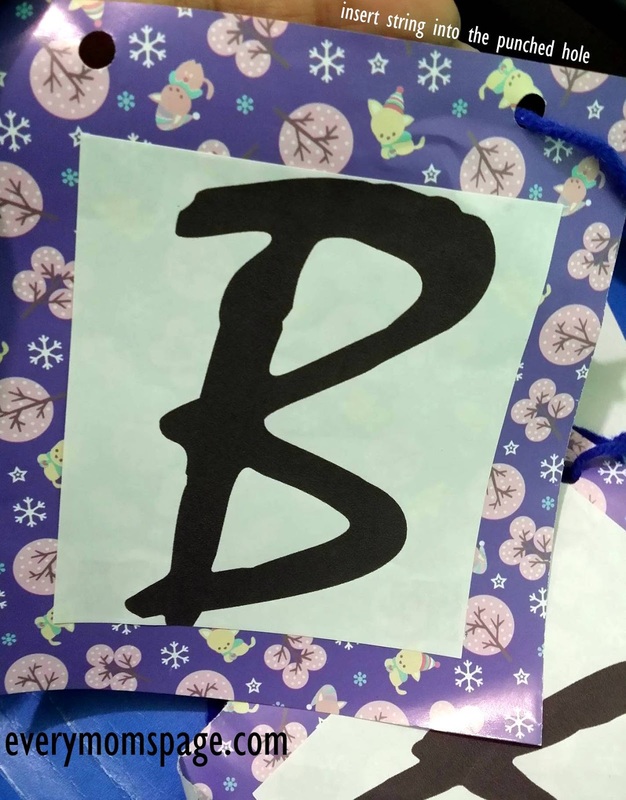 I cut the wrapping papers a little bigger than the letters. I used a double-sided tape for the letters to stick to the wrapping paper. 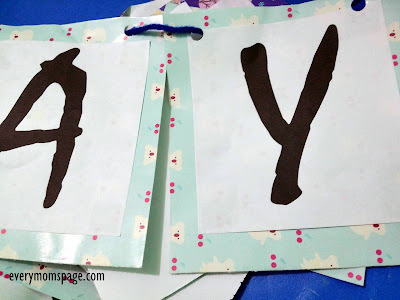 Punched holes at each letter and used blue string.